The Supreme Court has granted the Trump Administration’s request for a stay in a federal court’s decision that would have allowed some 24,000 pre-sponsored and pre-approved refugees to resettle in America. The decision means that, until further notice, refugees still abroad—many who already have adoptive families here—are barred from entering the US. 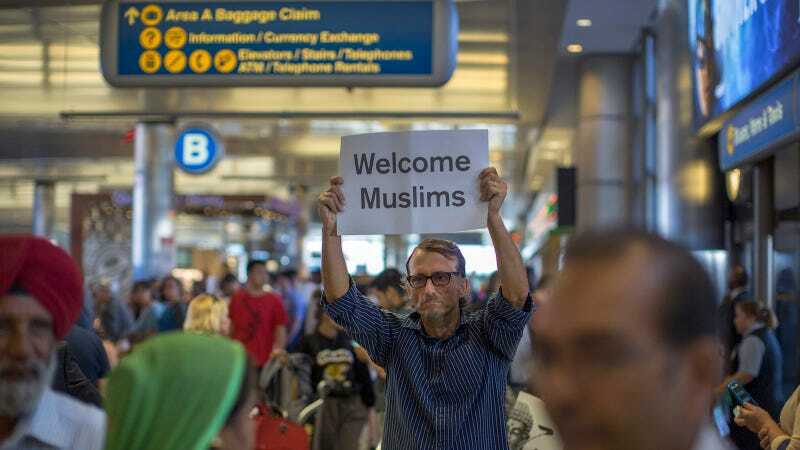 This is the most recent decision in a series of legal battles stemming from the Trump administration’s travel ban against six Muslim-majority countries and an indefinite ban against refugees. Though several federal courts challenged the ban, in June the Supreme Court partially restored it, allowing the US to bar anyone without “a credible claim of a bona fide relationship with a person or entity in the United States.” The administration then attempted to narrow the definition of “bona fide relationship” to immediate family members, excluding grandparents, fiancés, and cousins, and excluded relationships established by refugee resettlement agencies. In July, the Supreme Court intervened, requiring the administration to expand the definition of close family, but stayed the injunction on refugee resettlement and sent it to the US Court of Appeals for the 9th Circuit for review. The federal appeals court decided last week that refugees with agreements could be allowed in, but this week, the Justice Department objected and requested another review, prompting the Supreme Court’s statement on Tuesday. The Supreme Court will hear the immigration ban case on October 10.